Throughout my life, I’ve never been a big winner. Don’t get me wrong, I wouldn’t classify myself as a “loser”, per se, either. I’m referring to winning things*. It could be track meets or class presidencies or even the lottery. None of those things has ever brought me the big prize. My brother, on the other hand, was always a big winner growing up. He had such a knack for winning radio contests, (you know the type, “be caller 9 and win a pair of REO Speedwagon tickets…”) that he had to make up fake names to collect the myriad prizes he somehow won. But not me. In the last couple of years, however, my luck has changed and I have won things. In 2012, I won a free pass to the Dad 2.0 Conference in Austin and in 2013, I won a free stay at the Four Seasons in Houston for the Dad 2.0 conference. Oh, and did I mention that going to those two events changed my life? Why am I telling you this? 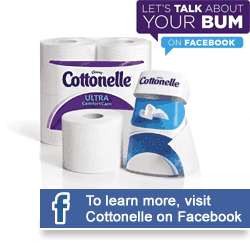 Because this is the final week for you to write a hi-larious haiku for Cottonelle’s Let’s Talk Bums contest. 2 more finalists will win $200 Amazon gift cards next Monday, November 4. They’ll be added to a pool with 5 others for a shot at the Grand Prize: an all-expenses paid trip to Dad 2.0 in New Orleans next January31-February 1, 2014. Even better than that, you’ll get to meet me there. What could be better than that, you ask? I know — REO Speedwagon tickets. Please keep in mind that some of these winners are veteran bloggers and some are rookies just called up from the minors. Experience doesn’t matter. Humor does. Keep the Haiku(s) clean, like the Cottonelle Care Routine does for your bum. What’s that again, you ask? The rad double wiping system to keep your bum fresh and happy. You start with dry paper and then cool down with some Cottonelle Fresh Wipes. Like Colt .45, they work every time. So give it a shot. 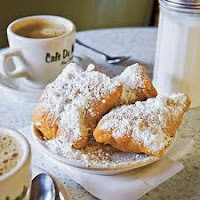 Tweet your Haiku now through Sunday morning, November 3 and it could be you flying the freebie train to NoLA, with extra cash in your hand to buy all your new friends Beignets at Café du Monde. I’ll take two. Disclaimer: I need to come clean (see what I did there?) and tell you that I was compensated by Kimberly Clark to participate in this campaign, but all opinions expressed in this post are entirely mine, for better or worse. *I did win a Chaka Khan album on a radio call-in once, but the winner had to pick the record up from the station and I was only 12 or so and couldn’t drive. No record for me.